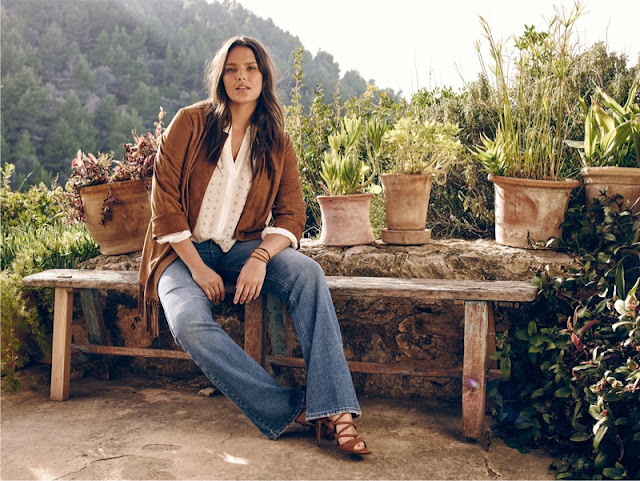 Mango brings a new collection for a new season for its plus size line, Violeta, and taps model Candice Huffine for the campaign. Posing for the Violeta by Mango Spring/Summer 2016 Campaign, Candice takes spring styles with an inspiration from the 70s. The campaign is lensed on location in Mallorca, by photographer Sergi Pons, and also stars model Tara Lynn. Off-shoulder tops paired with denim jeans, fringed jackets, floaty maxi dresses and printed tunics are some of the highlights of the collection, perfect for fashionable curvy women. 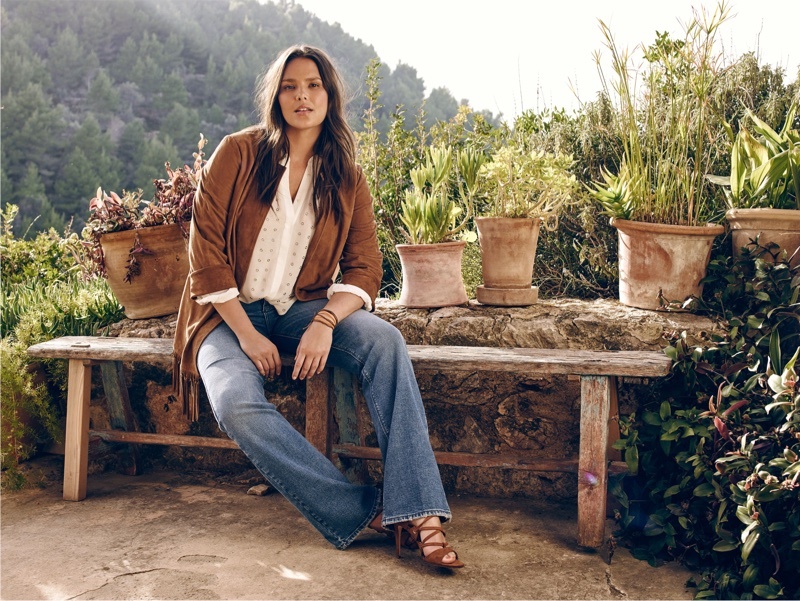 Candice Huffine also starred for the Mango Violeta Spring/Summer 2015 Campaign.